Change is good… Thank you for stopping by and checking out our revamped website. We look forward to keeping everyone updated with company news and pictures. We decided to add a few pages to our site and provide the masses with additional information about our facility, staff and capabilities. Stay tuned for more information. Here is a recent picture from a roll out of we did for a nationwide retailer. 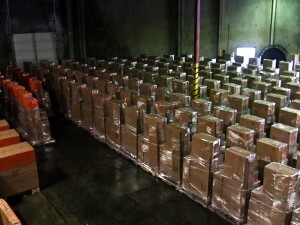 This was part of the staged area (472 pallets were shipped).